Not Able to Lose Weight? 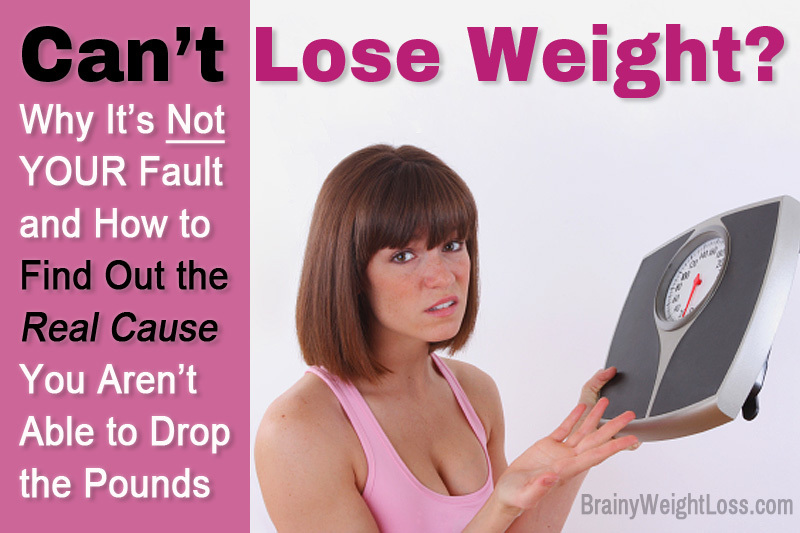 Find Out The Reason You Can’t Lose Weight! Home » Not Able to Lose Weight? Believe it or not, the cause you are not able to lose weight may be a specific health issue that you might be experiencing… Without even knowing about it! 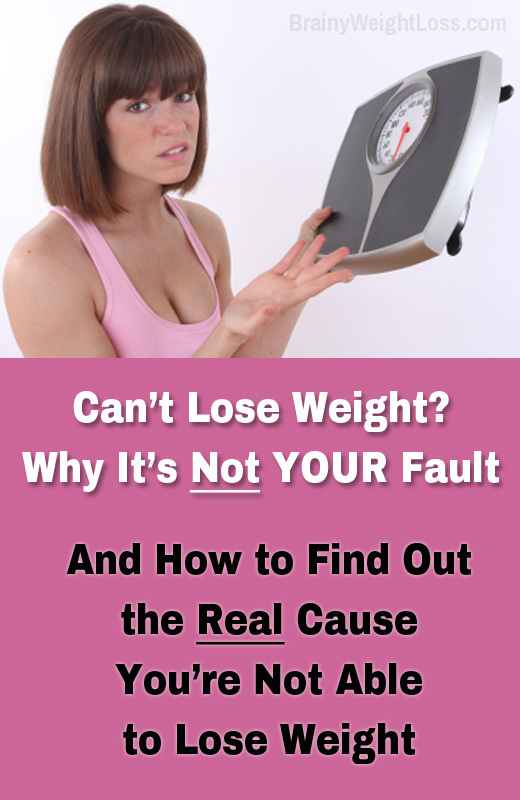 Let’s see why you really can’t lose weight and what to do about it. Are you not able to lose weight despite eating right and exercising regularly? But you may actually be weight loss resistant. What does this mean, you ask? Well, it means that your efforts of dropping the pounds yield only negligible results (less than 2% of your body mass) . For example, let’s say you weigh 220 lbs. Two percent of 220 lbs is 4.4 lbs. So if you experience an inability to lose weight beyond the 2% of your weight, it means that you are weight loss resistant. This may be a new idea to you, but there are several health issues typically responsible for weight loss resistance. If you’re not able to lose weight at a significant rate, it’s best to consult a functional medicine practitioner. They’ll have you undergo a series of tests to determine the specific cause(s) at play in your case. Then they’ll customize a unique therapy for you. You’ll find out how they trigger your weight loss resistance. You’ll also find effective solutions to deal with each of these causes – on your own. Before anything else, you should know that the very same reason you may have gained weight quickly could also be the cause you are now not able to lose weight. And, especially one of the causes you can’t lose belly fat. In fact, abdominal fat is an important clue that one (or more) of these health issues is at play. Specific nutritional deficiencies. These alter your brain chemistry causing unstable blood sugar and hormonal havoc. Both of these ultimately impact your body’s ability to burn fat. More often than not, these health issues are not apparent by themselves. However, if you are not able to lose weight at a significant rate despite your efforts, there’s a high probability that you are faced with one (or more) of these health issues. Let’s take a closer look at some of these and at the best solutions to deal with them, which you might want to try. Why? Well, because your brain, your immune system and your metabolism are all dramatically affected by the effects of long-term stress. Did you know that your inability to lose weight – especially in the abdominal area – is one of the most common symptoms of high cortisol? This is the stress hormone that helps regulate your blood sugar levels and signals your body to either burn, or store fat. So if you can’t lose weight, what can you do to put an end to your chronic stress? The first step is reducing your cortisol levels. One of the most effective methods is working out – here’s how exercise reduces stress. And here are other effective stress relief methods and fun ways to relieve stress and even a stress-reducer game. You should know that hypothyroidism and weight gain go always hand in hand. After all, sudden – even unexplained – weight gain is the biggest, most visible (and perhaps the most frustrating) of all low thyroid symptoms. Losing weight with hypothyroidism can be next to impossible – unless you manage to increase your thyroid function – hence your metabolism. You may be surprised to learn that when you can’t lose weight it may be just one of the most common symptoms of Candidiasis, or Candida overgrowth. In fact, sudden weight gain, inability to lose weight, intolerable food cravings, mood swings, are just a few of over 30 symptoms of Candida overgrowth. Candida (commonly known as yeast) is a type of fungus naturally present in the intestinal tract. While when balanced it is not a problem, when this fungus spreads out of control it upsets the natural balance of your system. As a result, the symptoms become very troubling. That’s why you should learn about the foods that cause Candida and how to control the causes of Candida overgrowth. For your convenience, here are the basic Candida diet guidelines and a full set of sample menus for a Candida free diet. This page is continuously updated with more common causes explaining why you are not able to lose weight. Want to be notified when these updates are posted on the site? Be sure to subscribe to our Brainy Bites newsletter.